Botched Spot - Page 7 of 80 - The pro wrestling webcomic! A Retrospective of Daniel Bryan Botched Spot Comics! 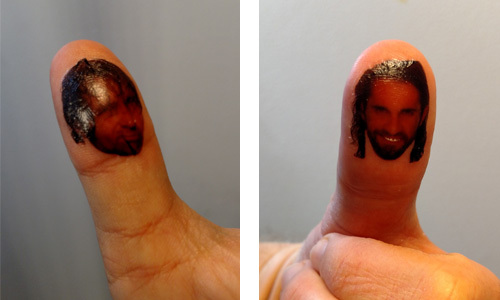 Longtime Botched Spot readers will know that I am a huge fan of Daniel Bryan. When I first saw him on NXT season one (no, I can’t claim to be a true original Bryan Danielson fan) it was love at first sight! Not only was he great in the ring, but his devil-may-care attitude really shined in challenges where he said he deserved to be eliminated or he handed out free copies of WWE programs when he was supposed to be selling them. “Down with capitalism!” he cried! He didn’t care if he was fired and you could tell. When he was fired it was pretty hard though. I mean I was devastated when he was just “eliminated” from NXT, let alone fired from WWE entirely after choking out Justin Roberts with his tie. Mattel’s okay with wrestlers hitting each other with chairs, as soon as the ties come out they start worrying about impressionable kids? Mattel never did capitalize on this by selling a Daniel Bryan action figure with a necktie accessory. Comments Off on A Retrospective of Daniel Bryan Botched Spot Comics! A Decade of Botched Spot! On March third Botched Spot hit a big milestone: it turned ten years old! My comic has come a long way since those simple old drawings of Olav and Rad Bad that I started with and to celebrate I wanted to look back at some of my favorite types of comics from the past decade! Great Moments for a Heel Turn! My “Great Moments for a Heel Turn” comics were some of my most successful comics early on and ones that even people who didn’t watch wrestling enjoyed. Sure, they were a little formulaic, but these are a few of my early comics I can still look back on and feel proud of. Any time I get to draw animals talking or acting like people it’s a good day. I’m not even sure the Wyatts have been around alligators all that much, but it’s hard to turn down the opportunity to draw gators as pets/roommates. Comments Off on A Decade of Botched Spot! It’s that time of year again! No, I’m not talking about the Road to Wrestlemania, I’m talking about Valentines Day, the holiday that goes from Halloween-lite when your a kid to a soul crushing awareness of being single when you’re an adult. The Halloween-lite phase is pretty great though because not only do you get candy but you also get to collect a bunch of fun Valentines with your favorite TV show characters. Back in my day it was Ninja Turtles and X-Men and for today’s kids it’s Ninja Turtles and Guardians of the Galaxy. 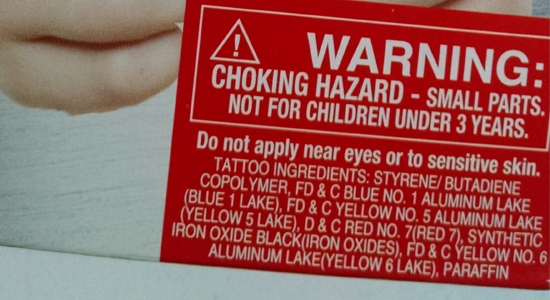 What a world we live in! 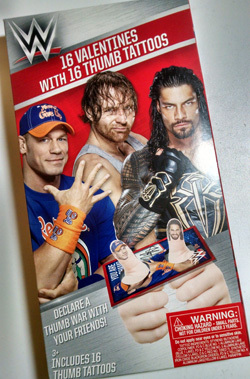 When browsing through Aldi the other day my wife and I happened to spy another Valentine’s option: WWE thumb wrestling Valentines! A few dollars later we ran back home to unbox them! Once inside the box you’ll see the mix of half hearted puns and generic Valentines phrases on the cards. 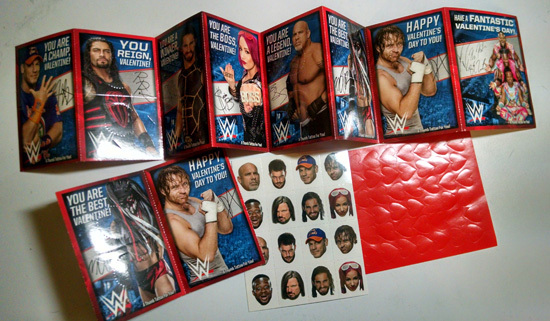 Roman’s card says “You Reign Valentine,” but the rest of the Shield is stuck with “Happy Valentine’s Day to you!” and “You are a winner, Valentine!” which would work on any other Valentine’s card set. They couldn’t come up with “I’m Rollin’ in your love, Valentine!” or “I’m a lunatic for your love, Valentine!”? 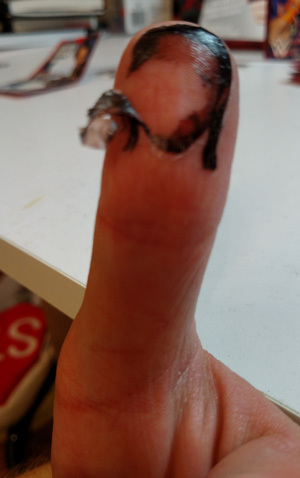 Let’s be honest though, no one’s buying these for the cards, they’re doing it for thumb wrestling and temporary tattoos! 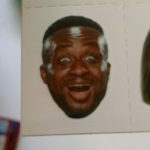 The tattoo image quality ranges from awkwardly cropped in (Sasha) to fantastic (Big E). I did notice one big change though… While there was a Roman Reigns card, there was an AJ Styles tattoo instead of a Roman Reigns one! 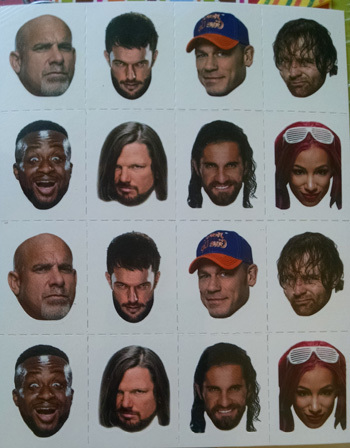 Was some smark in charge of the tattoos and decided to switch Roman out for AJ? Were they just halfway paying attention and decided to throw any long haired bearded dude out there? I don’t know what the reason was, but Roman’s catchphrase of “One versus All” never fit better.